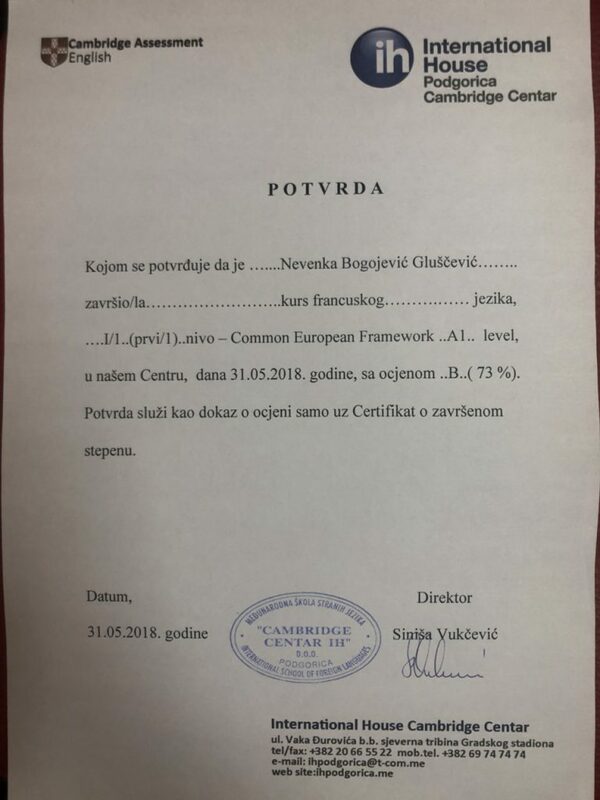 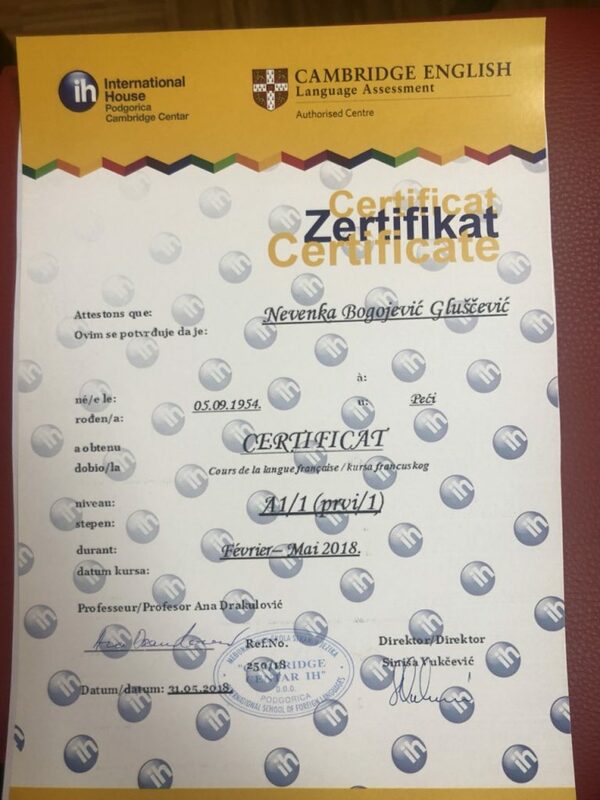 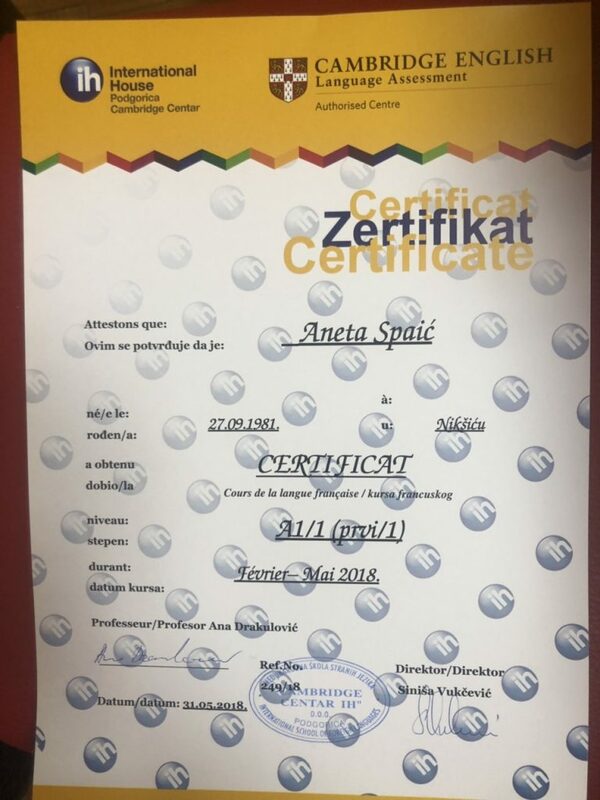 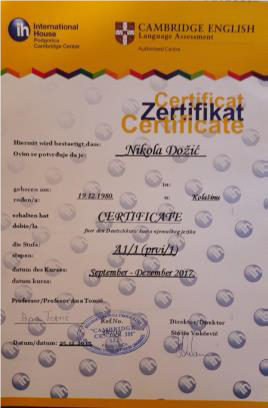 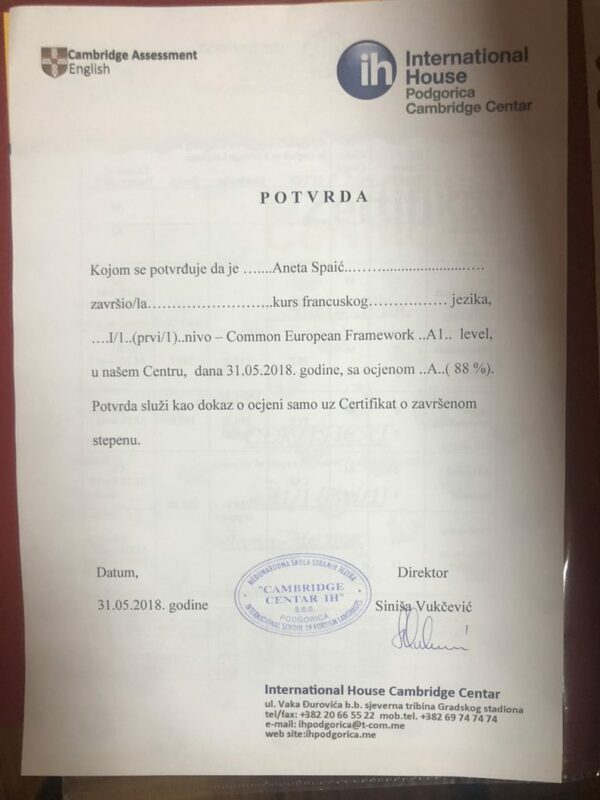 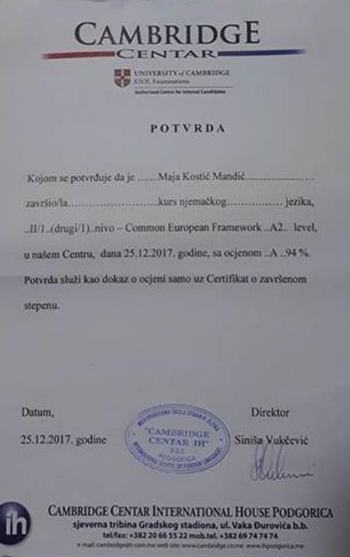 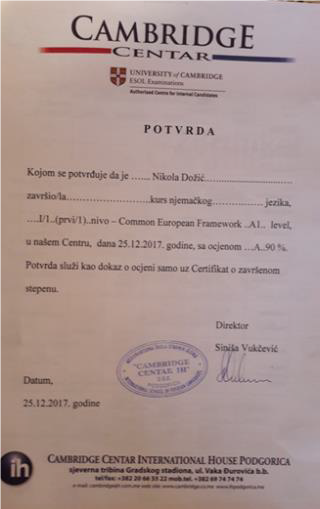 During the CABUFAL project, a International house – Cambridge Center in Podgorica was selected through public procurement procedures for language training. 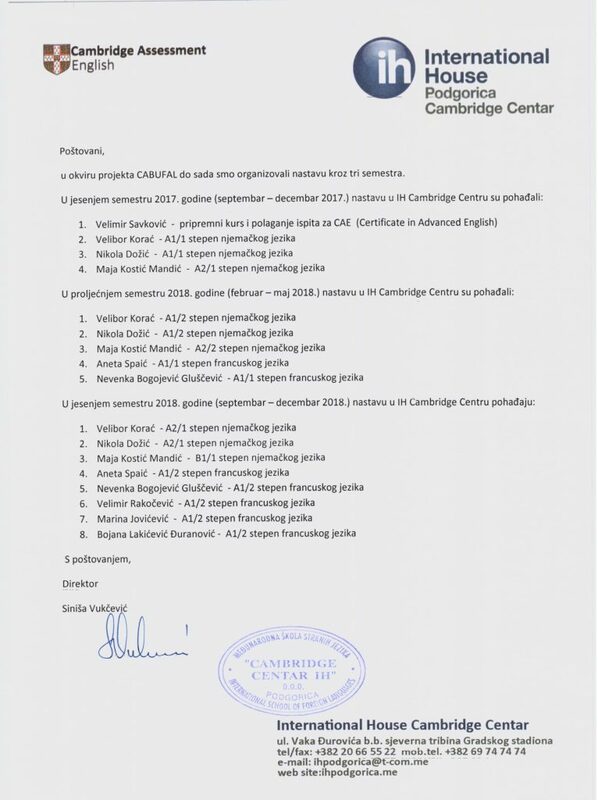 The following are the testimonial of the International house Cambridge Center on already finished two cycles of training and training that are currently on-going. 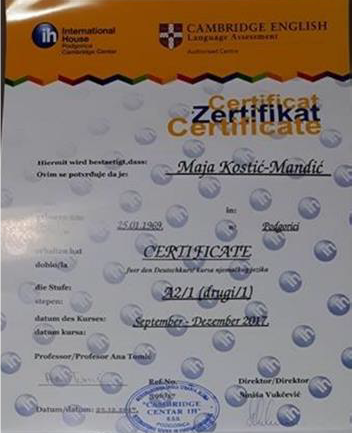 Following are some examples of the certificates our teaching staff have already received.